Interviews and observations from the Great British Fly-In at the Smithsonian’s National Air & Space Museum celebrating the 100th anniversary of Great Britain’s Royal Air Force. Also, a review of Li-ion thermal runaway containment products for use on airplanes, Sun ‘n Fun, a deal to resolve the subsidy dispute between some U.S. and Gulf airlines, the F-35 reaches a developmental test flight milestone, Allegiant Air is criticized in a CBS investigation, a standoff missile makes its operational debut, and 787 Dreamliners with the Trent 1000 Package C engines get a reduced ETOPS rating. The Great British Fly-In Celebrates the Royal Air Force Anniversary. Photo by David Vanderhoof. Reportedly, discussions are progressing that would resolve the subsidy dispute between some U.S. airlines and those in the Middle East. 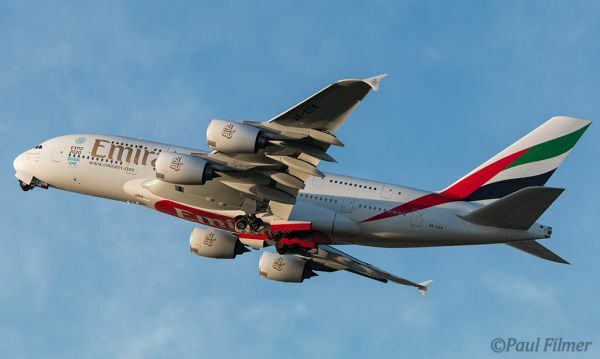 Emirates and Etihad Airways would make their accounting books available and would assert that they have no current plans to add additional flights to the United States. The F-35 Joint Program Office says the program “has accomplished the final developmental test flight of the System Development and Demonstration (SDD) phase of the program.” The program operated for more than 11, conducting more than 9,200 sorties, accumulating over 17,000 flight hours, and executing more than 65,000 test points to verify the design, durability, software, sensors, weapons capability and performance for all three F-35 variants. The United States and its French and British allies launched strikes against Syrian government facilities supporting chemical weapons. Striking the Barzah Research Center in Damascus were 57 Tomahawk Land Attack Cruise Missiles (TLAM) and 19 Joint Air-to-Surface Standoff Missile-Extended Range (JASSM-ER) missiles. 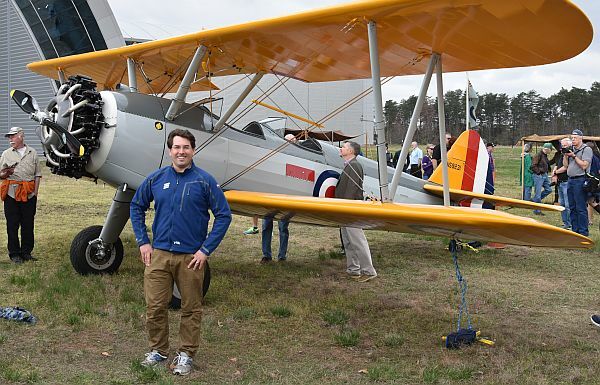 David attended The Great British Fly-In at the Smithsonian National Air and Space Museum, Steven F. Udvar-Hazy Center, April 15, 2018. The event was conducted in partnership with Great Britain’s Royal Air Force (RAF) as part of the 100th-anniversary celebration of the RAF, the oldest air force in the world. The event featured many former RAF and other military aircraft, flown in for one day only. Airplane Geeks Reporter-at-Large Launchpad Marzari reports from Sun ‘n Fun 2018 with a quick pilot report and an interview with Chief Foreign Officer Charles Villanida. GoArmy.com. This entry was posted in Episodes and tagged Air New Zealand, Allegiant, Emirates, Etihad, F-35, Li-on, Lockheed Martin, RAF, Sun n Fun on April 17, 2018 by maxflight. 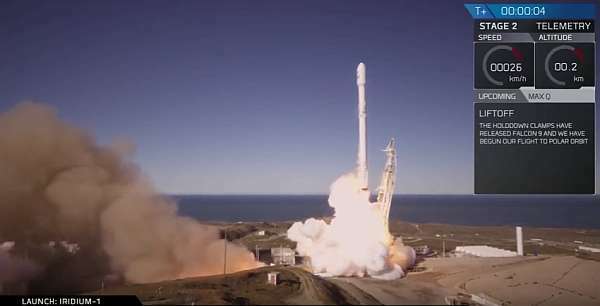 The CEO of Iridium Communications tells us about the satellites being placed into orbit and the services they’ll provide to aviation. In the news, airlines react to the laptop ban, a proposed TSA fee increase draws criticism, FAA forecasts slow growth for general aviation, and an engine manufacturer looks to expand. 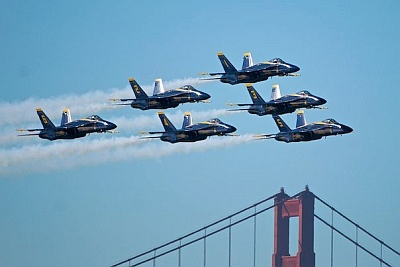 Also, interviews from the Heart of Texas Airshow. Matt Desch is the CEO of Iridium Communications, a satellite communications company that offers global voice and data coverage through its constellation of low-Earth orbiting (LEO) cross-linked satellites. Matt explains the company’s next-generation constellation, Iridium NEXT, with deployment expected for completion in 2018. We talk about how the satellites are placed into orbit with SpaceX Falcon 9 rockets, and what will happen to the old constellation being replaced. Matt describes the capabilities of Iridium NEXT and the implications for aviation. That includes the Aireon service, a hosted payload that will listen for ADS-B signals and relay them in real time to air navigation service providers. A long time telecom/technology executive, Matt started his career at Bell Laboratories, and was an early pioneer in the cellular phone business. 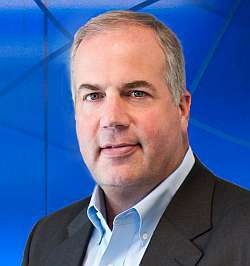 He was involved with a number of high tech companies over the years prior to becoming CEO at Iridium. Follow Matt on Twitter as @iridiumboss and visit the Iridium website for more information, and to order Iridium NEXT memorabilia. Iridium is on Twitter, Facebook, YouTube, and Flickr. Affected airlines have been quick to react to the PED ban. Royal Jordanian has continued it’s marketing campaign that pokes fun at the U.S. presidential election and recent government policies. Emirates started a service where you hand over your banned devices at the gate, which they package and place in the cargo hold. You get to work right up to boarding time. Etihad has a Make Flying Great Again video that illustrates the features of their IFE system. They also tout their seats that fully recline for sleeping, and their flying nanny to help keep children entertained. The Trump administration proposes to increase the TSA fee that passengers pay. But the U.S. airline trade group Airlines for America says that each year, about $1.3 billion of the fees collected do not go to fund aviation security. Instead, they are allocated to overall deficit reduction. In its 20-year forecast, the FAA estimated slow growth for general aviation. 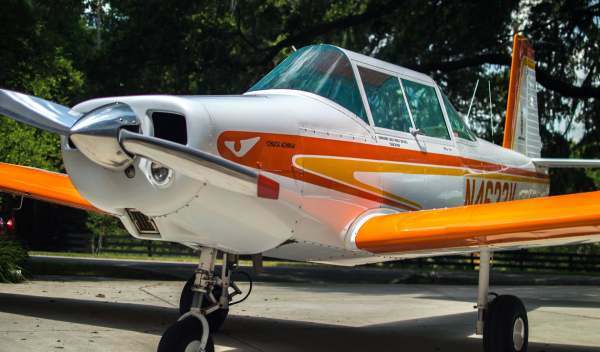 The agency sees a decline of 17,500 fixed-wing piston aircraft, offsetting a small annual increase in turbine aircraft and other segments, with a net annual growth rate of 0.1 percent. The number of small commercial drones in the domestic UAS fleet is expected to grow from 42,000 at the end of last year to 442,000 by the end of 2021. FAA projects commercial U.S. passenger growth of 1.9 percent a year over the next two decades. Airplane Geeks Reporter-at-Large Launchpad Marzari brings us interviews from the Heart of Texas Airshow, held March 18-19, 2017 Waco, Texas / TSTC Airport. “Laser Dave” McConkey is a flight engineer for the B-17G operated by the Gulf Coast Wing unit of the Commemorative Air Force. Nick “Bearshark” Green from the F-18 demonstration team. Greg Howell, flying a Mig17 built in 1960 in Poland. Air Refueling Specialist MSG Jerry Cummings from the KC-135 Air Refueling Wing. PaxEx Podcast #44 with aircraft interiors and travel expert John Walton on the laptop ban, Zodiac Aerospace seat quality problems on Cathay Pacific A350-900s, and the upcoming Aircraft Interiors Expo in Hamburg April 4-6, 2017. Crawl through a B-29 Superfortress IN FLIGHT! + Real-Time procedures / ATC – Oshkosh AirVenture! This entry was posted in Episodes and tagged A4A, B-29, Continental Motors, Daher, Emirates, Etihad, FAA, Iridium, Royal Jordanian, SpaceX on March 29, 2017 by maxflight. Conversation with the recruitment manager for Emirates about opportunities at the airline. Also, possible layoffs (or retirements) at Boeing, Air France service returning to Iran, new student pilot rules from the FAA, a buyer for Virgin America, and dogs – can they really fly? Andrew Longley is Head of Recruitment – Flight Operations (Pilots) at Emirates. 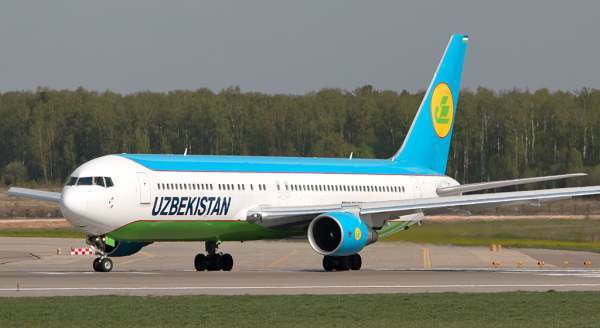 The airline operates to over 140 destinations with an all-widebody fleet of Boeing and Airbus aircraft. Emirates is the world’s largest operator of 777 and A380 aircraft. Andy describes how the Emirates employment model is different than that of many other airlines. We take a look at the need to attract pilots and cabin crew from an international pool of candidates with strong leadership potential and good CRM skills. We also talk about pilot certification requirements, the Dubai lifestyle and airline accommodation of employee families, salaries, housing, medical insurance, and other career opportunities at Emirates. 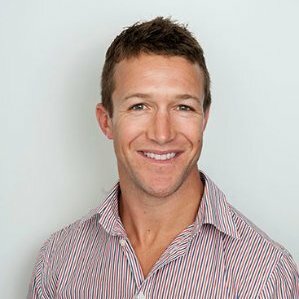 Andy started his career in 2006 in the Royal New Zealand Navy as a Military Psychologist where he was responsible for the selection and assessment of specialist trades including helicopter pilots, special forces, and Navy divers. He also served as a UN peacekeeper for a year where he worked and lived in Syria and Lebanon monitoring the peace between the various at-war countries. After Andy’s military time commitment ended in 2013, he worked as a consultant in the telecommunications and business fields including a year working at IBM. But Andy saw a unique opportunity with Emirates and he moved to Dubai as a senior psychologist. He became involved in Emirates pilot assessment and was responsible for profiling and assessing pilot candidates. He moved into pilot recruitment and leads the effort to find enough safe and capable pilots to fly a quickly growing fleet of wide-body aircraft. Learn more at the Emirates Group Careers webpage. Pilots can look for the closed LinkedIn group “Future Pilots of Emirates Airlines.” Andy will be presenting and exhibiting at the FAPA Job Fair April 26, 2016 and the OBAP Spring Career Fair April 27, 2016, both in Las Vegas. Boeing says that at least 4,000 (or 5%) of it’s workforce needs to be cut, and maybe as much as 10% (or 8,000 jobs). CEO of Boeing Commercial Airplanes (BCA) Ray Conner points to pricing pressure from Airbus with their A320 family and its effect on the 737. Illegal European launch aid subsidies. The Ex-Im Bank cannot make new deals until the Senate acts to confirm a necessary quorum of board members. Low tanker price will drain funds from Boeing that could have been used to compete with Airbus. Aerospace analyst Scott Hamilton of Leeham Co. says early retirements by factory-floor workers could be a bigger impact than layoffs on the 737 and 787 production ramp up starting next year. The IAM (International Association of Machinists and Aerospace Workers) told told Hamilton that between 7,000 and 9,000 workers are eligible for early retirement in November, and they expect 3-5,000 might actually retire. However, Dennis Muilenburg, the CEO of The Boeing Co.says that “booking rates have held up well.” Cost cutting is offensive rather than defensive. In the past, many student pilots have celebrated their 16th birthday with their solo flight on that day. Now the FAA says it cannot start processing the student pilot certificate application until all requirements are met, including age. Jason Blair posted a good resource on his website: Step by Step Process for Issuance of Student Pilot Certificates Using Updated FAA Student Pilot Certificate Procedures. Alaska Air Group plans to Virgin America in a deal valued at about $2.6 billion. If it goes through, Alaska Airlines would become the fifth-largest U.S. airline, behind American, Delta, United, and Southwest. Our Main(e) man Micah tells us about his second visit to the Smithsonian National Air & Space Museum’s Stephen Udvar-Hazy Center in June 2015 for the Innovations in Flight Family Day and Outdoor Aviation Display. Join us at the 2016 June 18 in Chantilly, Virginia, adjacent to Dulles International Airport. See also Scott Spangler’s visit report Udvar-Hazy: Surprises & Friends Restored on Jetwhine.com. Top 10 Aviation Museums to Visit in the U.S.
Post photo courtesy Paul Filmer, Skippyscage Photography. This entry was posted in Episodes and tagged Air France, Alaska Airlines, Boeing, Emirates, FAA, NASM, Virgin America on April 6, 2016 by maxflight. An enthusiast talks about PC flight simulation, Dubai Air Show 2015 debrief, flight training with the Cirrus Aircraft SR22 at Emirates, antitrust lawsuit blocks United’s plan to purchase slots, and bag fees increase at low cost carriers. 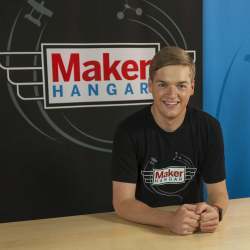 Guest Nicolas Jackson talks about PC-based flight simulators. 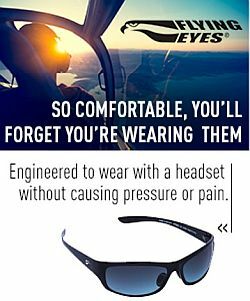 We learn that you can create the flight simulation experience you want – from flying a GA airplane in the pattern around your local airfield, to a transcontinental commercial flight. We talk about alternatives to Microsoft Flight Simulator X (FSX), such as Lockheed Martin’s Prepar3D® simulation software and X-Plane from Laminar Research. Nicolas recommends the Steam edition of FSX distributed by Dovetail Games for new simmers. 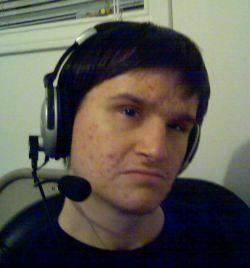 He also tells us about VATSIM.net, an international online flying network, and broadcasting on Twitch.tv, a live streaming video platform and community for gamers. Nicolas Jackson fell in love with aviation at the age of 10 when he got his first ride in a GA aircraft. Five minutes at the stick and he was hooked. Soon after that first flight, he bought Sierra Pro Pilot 99. He later switched to Microsoft Flight Simulator starting with FS98 and running all the way to FSX. He started flying on the international online flying network VATSIM with complex airliner add-ons in 2006, and hasn’t looked back since. Nicolas currently flies a variety of FSX aircraft and co-hosts the Unicom Podcast as part of The IFlySimX Team. The Airbus A350 and A320 family, as well as the Boeing 787 and 737, are sold out to 2020 and beyond. Airlines and leasing companies have no incentive to purchase more airplanes. airBaltic becomes the launch customer for the CSeries CS300 airliner when it takes delivery in the latter part of 2016. The Latvian flag carrier has orders for 13 firm and 7 options for the 160 passenger CS300. Bombardier said it has 603 orders and commitments for the CS300 and CS100, 243 of which are firm orders. Also, Bombardier said it was nearing completion of the CS100 flight test program and was “on track” for certification of the airplane by Transport Canada this year. CSeries flight test vehicles took more than 1,000 flights during testing. 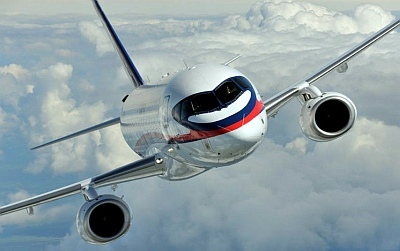 CityJet plans to take delivery of the 98-seat Sukhoi Superjet 100 in March 2016. The Irish regional airline is negotiating for 15 Superjets with 10 options. Embraer plans to build six test aircraft as part of the E2 E-Jet re-engining program: four of the E190-E2 variant and two of the E195-E2. Both E195-E2s and three of the E190-E2s would be ready by end of 2016, with the fourth following in 2017. The Pratt & Whitney PW1900G will power the planes, and Dutch lessor AerCap will be the launch customer for the 97-seat E190-E2. US Air Force secretary Deborah Lee James says industry and regional partners voiced complaints that the approval process for US foreign military sales is slow. The United Arab Emirates (UAE) Air Force bought two Saab Global 6000 long-range surveillance aircraft, and will upgrade two existing Saab 340 jets. Lebanon will purchase six Embraer Super Tucano aircraft for basic missions and training. Boeing says five customers are interested in its Maritime Surveillance Aircraft, a long-range spying plane. Lockheed Martin was awarded a $262.8 million contract from the U.S. Air Force to service Saudi Arabia’s F-15 sniper targeting system. Emirates Flight Training Academy is going to use a fleet of twenty-two Cirrus SR22 aircraft for its flight training program. United Continental Holdings Inc. wants to buy 24 slots at Newark Liberty International Airport, from Delta Air Lines Inc. The U.S. Justice Department filed an antitrust lawsuit to block the sale. Last year, ultra low cost carrier Spirit Airlines began increased bag fees for the holidays, and they are doing the same this year. Frontier Airlines is also increasing their bag fees, but not just for the holidays. 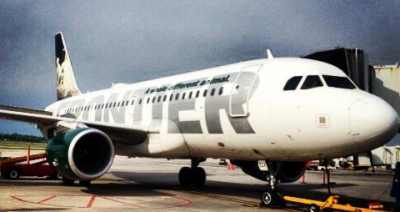 Frontier says they’ll charge a higher fee during the college spring break season, and during the summer travel season, from June 9 through Aug. 16. 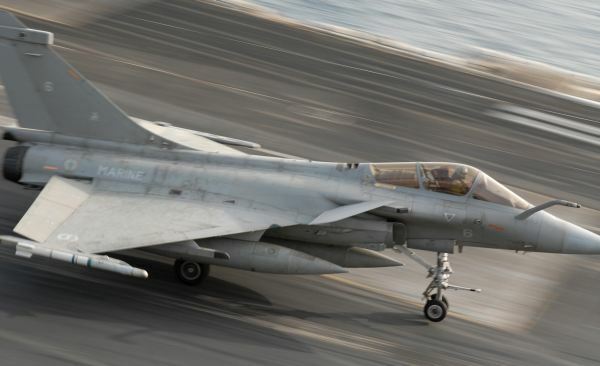 This week David looks at the tip of the spear for the Armee de L’Air, the Dassault Rafale. Pieter welcomes back Diego López-Salazar from Aeropodcast to talk about his recent visit to Airbus and their Innovation Day presentations. They talk about some of the non-flying innovations Airbus is creating that may well find uses in other industries, such as Airbus Glasses, waste compactors, and paper cable ties. Pieter and Diego also get a short discussion in on the latest British Airways news, that IAG owned Vueling boss Alex Cruz is to become Chairman and Chief Executive of British Airways. Follow the Spanish-language Aeropodcast on Twitter and Facebook. Post photo Airbus A319 Czech Airlines OK-MEK courtesy aerosoft. This entry was posted in Episodes and tagged air show, Airbus, Boeing, Bombardier, Embraer, Emirates, flight simulation, Frontier, Rafale, Spirit Airlines, Superjet, United-Continental on November 18, 2015 by maxflight. The Metropolitan Knoxville Airport Authority, air service to Cuba, Gulf carriers and U.S. airlines trade barbs, Emirates and the Boeing 787-8, the pilot shortage, and drone regulations. Trevis Gardner is an Accredited Airport Executive (AAE) and Vice President of Operations with the Metropolitan Knoxville Airport Authority, which operates McGhee Tyson Airport outside Knoxville Tennessee and Knoxville Downtown Island Airport. They are currently developing Oak Ridge Airport, a corporate aviation airport to support the Oak Ridge National Lab and National Security Complex. Trevis is a native of East Tennessee and a graduate of Tusculum College and various military and community Leadership Programs. He’s worked with Knoxville Airport since 1991 in various roles, including Engineering Technician and Operations Manager. Trevis served over 24 years with the USAF/Tenn Air National Guard as both a senior NCO and Commissioned Officer in a variety of capacities. He is Chairman of the Communications Committee for the Southeast Chapter of the American Association of Airport Executives. JetBlue Airways plans to increase its existing charter service to Cuba with an A320 aircraft, and wants to offer regular service when it becomes allowable. 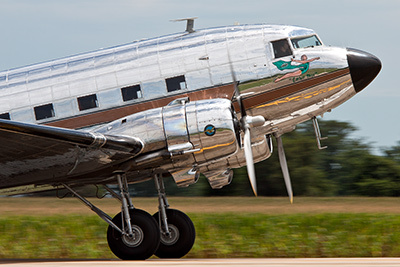 Companies offering charter services to Cuba include ABC Charters, Xael Charters, Airline Brokers Co., C&T Charters, Cuba Travel Services, and Gulfstream Air Charter. To learn more about air travel from the U.S. to Cuba, see Travel to Cuba Q&A. American, United and Delta claim that since 2004, Gulf carriers received more than $40 billion in government subsidies, which is unfair. They are asking the U.S. Government to renegotiate or kill treaties that have allowed Qatar and the United Arab Emirates airlines to increase flights to the U.S.
Delta Air Lines CEO Richard Anderson responded to claims that U.S. bankruptcy protection amount to government assistance, making a reference to 9/11 that was not appreciated by Gulf carriers. Will there be an Emirates order for 100 747-8’s? Unnamed sources say someone (not Boeing) is pitching the 747 to Emirates Airlines. The Coming U.S. Pilot Shortage Is Real and Podcast: Is The Pilot Shortage For Real? Contributing factors include the age 65 retirement rule in the U.S., fewer military pilots available to draw on, low (but improving) regional pilot salaries, the majors drawing on regionals for pilots, and fewer students entering aviation colleges looking for a commercial pilot career. Rob Mark and Andrea James (VP and Senior Research Analyst, Dougherty & Co.) talk about the proposed regulations for commercial use of small UAS. David Vanderhoof is back briefly to give his review of Flight of the Intruder . The movie stars Danny Glover, Willem daFoe, and Brad Johnson. More importantly it stars the Grumman A-6 Intruder. If you want plot read the book. If you want to see the preeminent Naval Strike aircraft of the 60-90s, then watch this movie. Two out of Five Props. It’s almost time for the Avalon Airshow and the boys are getting excited about some of the new items that will be on display, including an Airbus A400M and an RQ-4 Global Hawk that has made its first landing at a civilian airport. The date has been set for VH-OJA to make its final flight to the HARS museum at Wollongong: March 8th. Air New Zealand confirms they won’t be doing a “retrojet” livery on their next 787-9 despite rumours saying that they would. Matt Hall comes 2nd in the first heat of the Red Bull Air Race, being kept from first place by less than a second! Clearly the new winglets are doing something good on the track! Rob talks about frequent flyer programs, free flights, and ticket prices. Listener Morgan shared this photo taken while flying in Northwest Montana. The flight was out of Missoula (KMSO) north to Polson (8S1) and back in a rented 172K. This entry was posted in Episodes and tagged Airport, Delta Air Lines, drone, Emirates, jetBlue, pilot shortage on February 25, 2015 by maxflight. Learn more at the book’s Facebook Fan Page, and at Julie’s blog. Follow her on Twitter as @julieinthesky. Steve and Grant discuss a variety of aviation topics in the Australia Desk Report. Find them on the Plane Crazy Down Under podcast, and follow the show on Twitter at @pcdu. Steve’s at @stevevisscher and Grant at @falcon124. 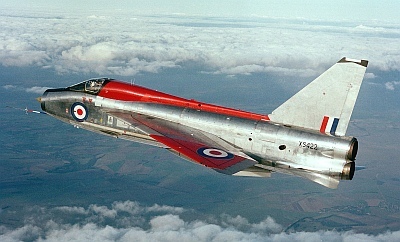 XS442 in flight during her RAF service with the ETPS in the 1980’s. Photo credit: AALO / Crown. This entry was posted in Episodes and tagged A350, Airbus, Boeing, Book, DC-3, Delta, Emirates, F-22, F-35, passenger rights, weather on August 30, 2011 by maxflight. AirShowFan.com Bernardo Malfitano’s aviation photography site. This entry was posted in Episodes and tagged Air Canada, B737, Emirates, Etihad, F-35, FAA, NATCA, NBAA, Southwest, SWAPA, UAV, Virgin America on October 19, 2010 by maxflight. Max, David, and Rob talk about the recently concluded Farnborough International Airshow 2010, and Dan sends in some information about quarterly airline earnings reports. We have David’s This Week in Aviation, the Australia Desk Report, and listener mail. Steven Udvar-Hazy: Farnborough’s biggest dealer? Seb’s photos from the 2010 Royal International Air Tatoo (http://www.flickr.com/photos/spen258/). The Visual Flight Rules blog by Huss (http://husstechlabs.com/), with comments, analysis and views on the aviation industry. This entry was posted in Episodes and tagged A400M, Emirates, Farnborough, Kestrel, Leasing, Superjet, Virgin America on July 26, 2010 by maxflight.